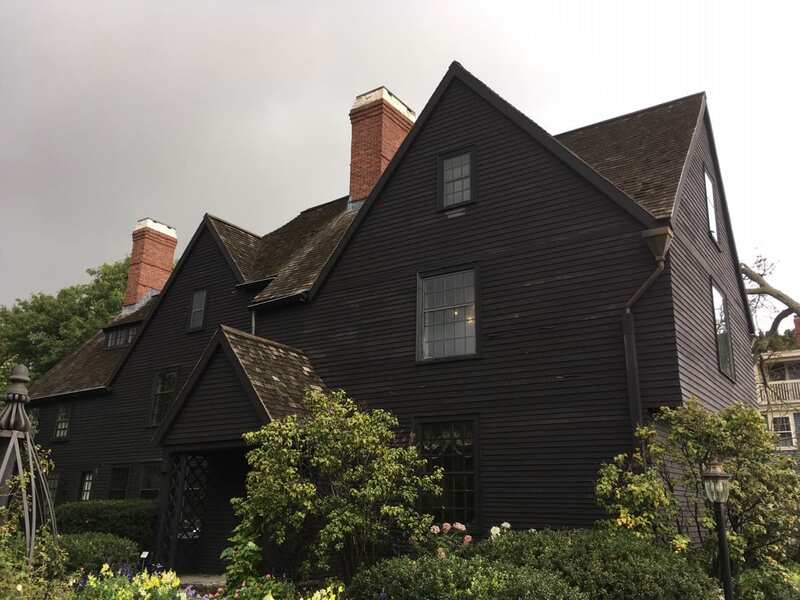 In 1668, sea captain John Turner built a multi-room house on the Salem waterfront. Three generations of Turners lived in the home, increasing its size and the family’s wealth, until John Turner III lost everything and the house was sold to another mariner, Samuel Ingersoll, in 1782. Upon Ingersoll’s death, daughter Susanna inherited the great mansion, where she was often visited by her younger cousin, Nathaniel Hawthorne. It was Susanna who inspired Hawthorne to set his 1851 second novel, The House of the Seven Gables, in this magnificent house. Hawthorne, great-grandson of witchcraft trials judge John Hathorne, used some key details from the actual events for his story, among them the “curse” hurled by Sarah Good at Reverend Nicholas Noyes before her execution: “I am no more a witch than you are a wizard, and if you take my life, God will give you blood to drink.” Nathaniel Hawthorne’s birthplace was moved from its original location on Union Street to the property of The Gables in 1958. There are a few other connections to the witchcraft period involving John Turner. 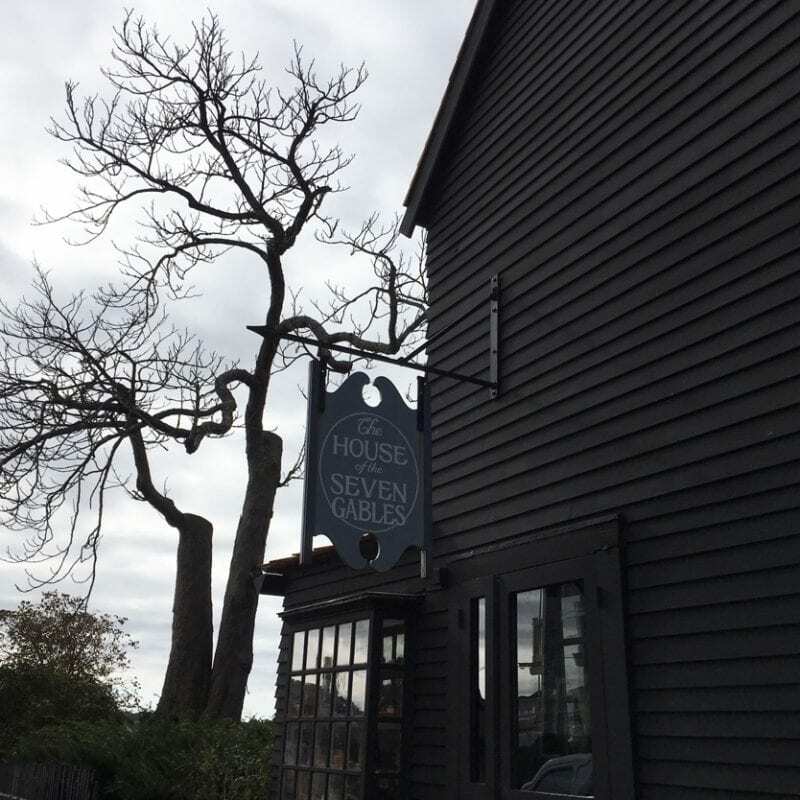 When John Proctor’s servant Mary Warren accused Salem Town widow Ann Pudeator of witchcraft, one of Warren’s claims involved Pudeator’s specter causing a young Turner to fall from a cherry tree, knocking him unconscious. In addition, John Turner’s sister Elizabeth was the first wife of Eleazer Gedney, the brother of witchcraft trials judge Bartholomew Gedney. Additional note: Susanna Ingersoll’s adopted son Horace Connolly lost the Turner-Ingersoll Mansion to creditors in 1879 after which it was owned by absentee landlords for a few years. In 1883, a family named Upton purchased the property. They were the first to charge admission to tour the house. Family member and artist Ida Upton is credited with creating “the first typical souvenir in the world,” when she hand-painted a “Witch Cup” for sale to tourists at the mansion. 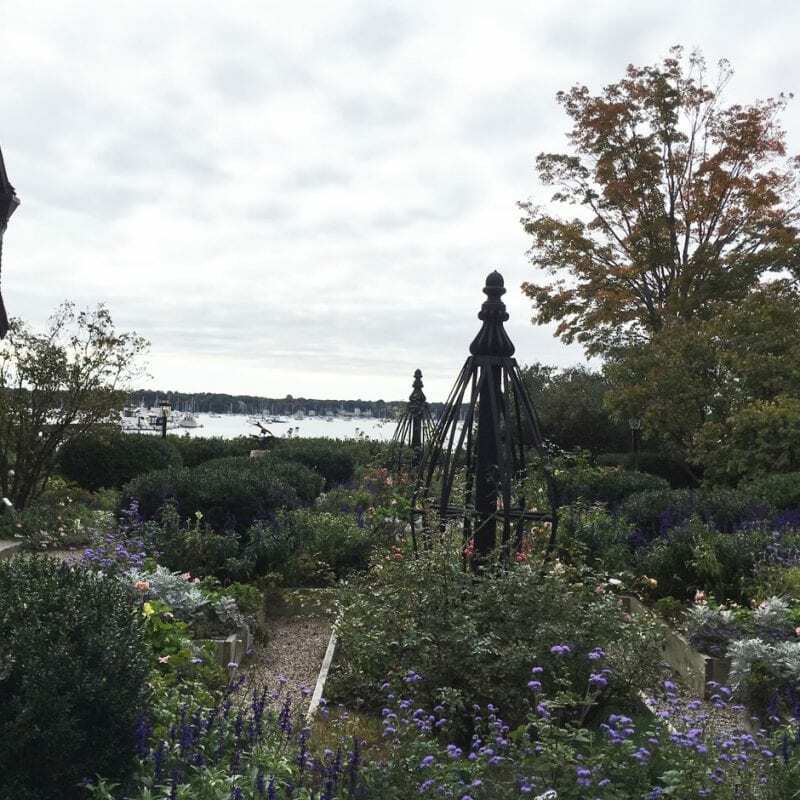 The Turner-Ingersoll Mansion faces Salem Harbor. 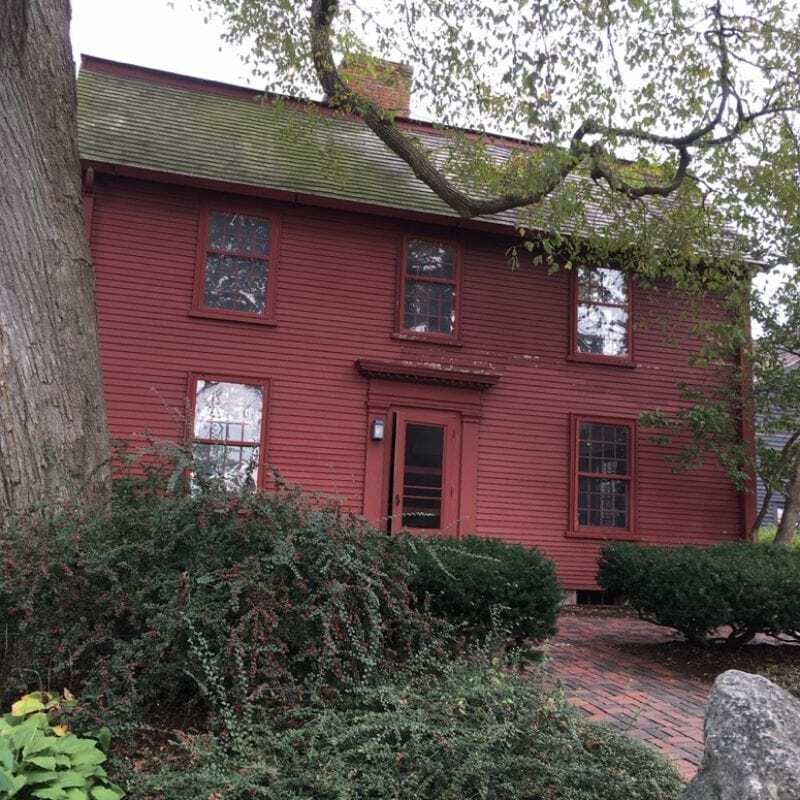 Nathaniel Hawthorne’s birthplace, moved to the grounds of The House of the Seven Gables in 1958, from its original location a few blocks away on Union Street. 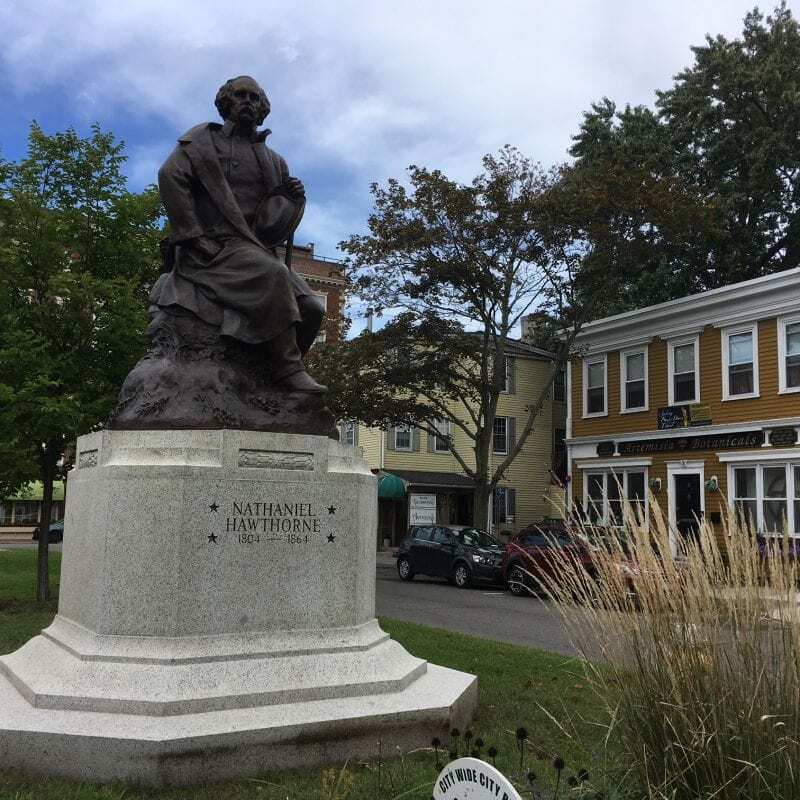 Statue of Nathaniel Hawthorne, created by sculptor Bela Lyon Pratt in 1917. 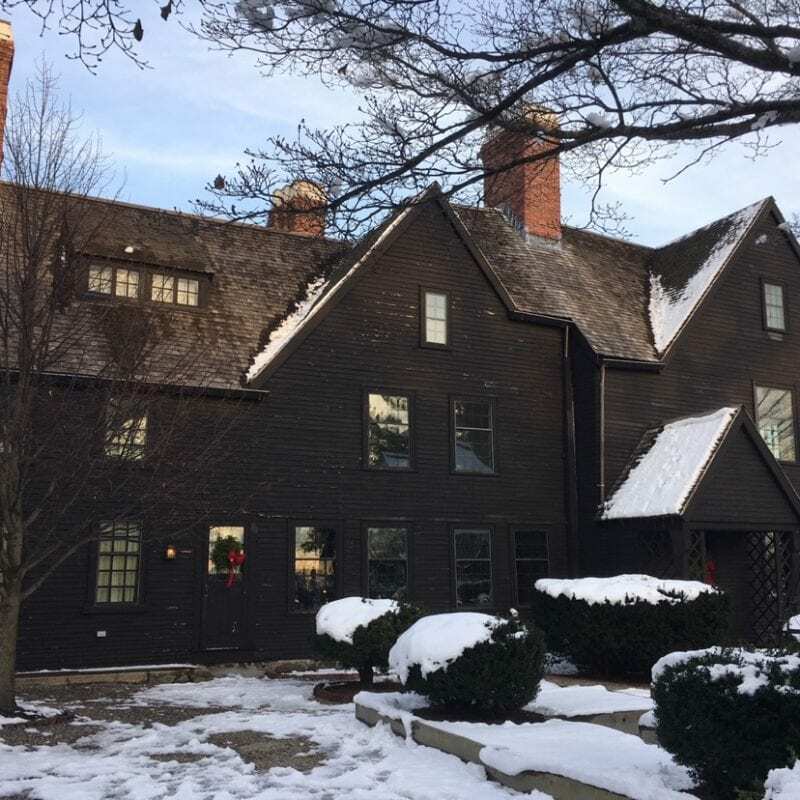 It was acquired from Boston’s Museum of Fine Arts and moved to its home on Hawthorne Boulevard in Salem in 1925.